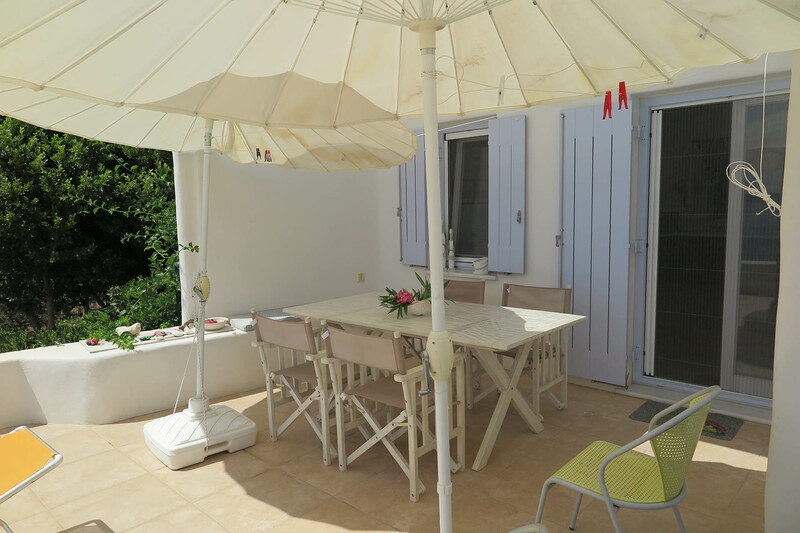 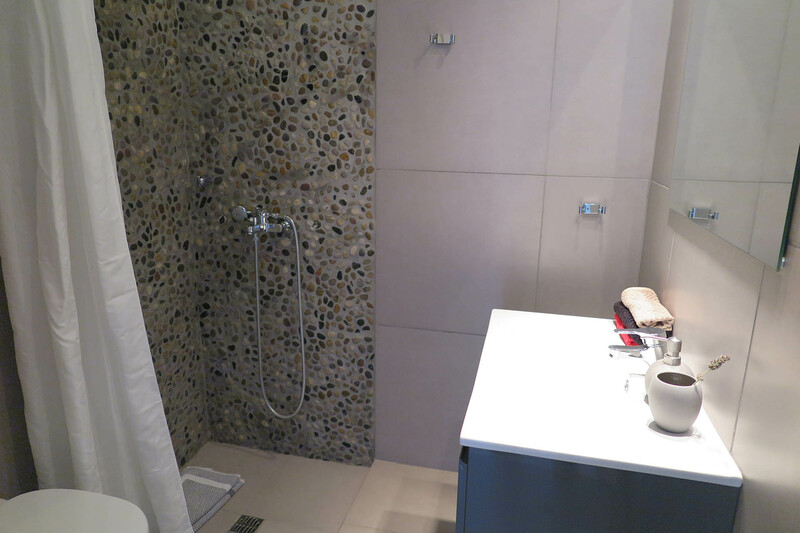 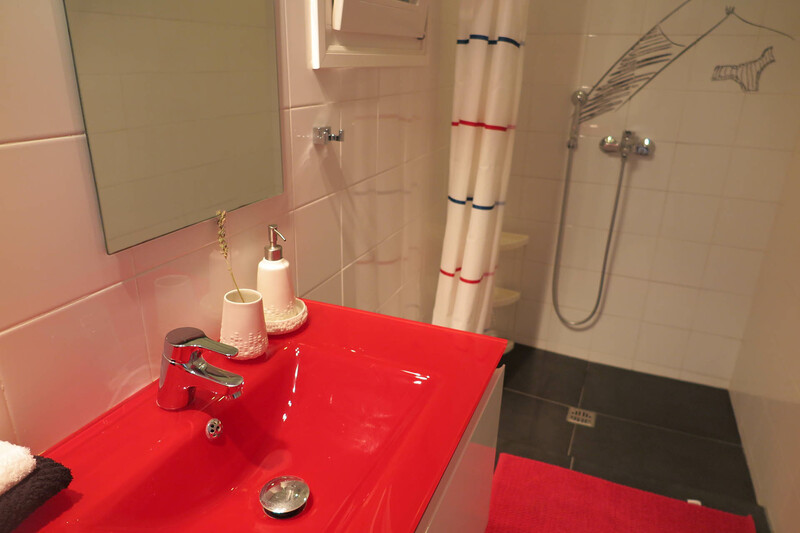 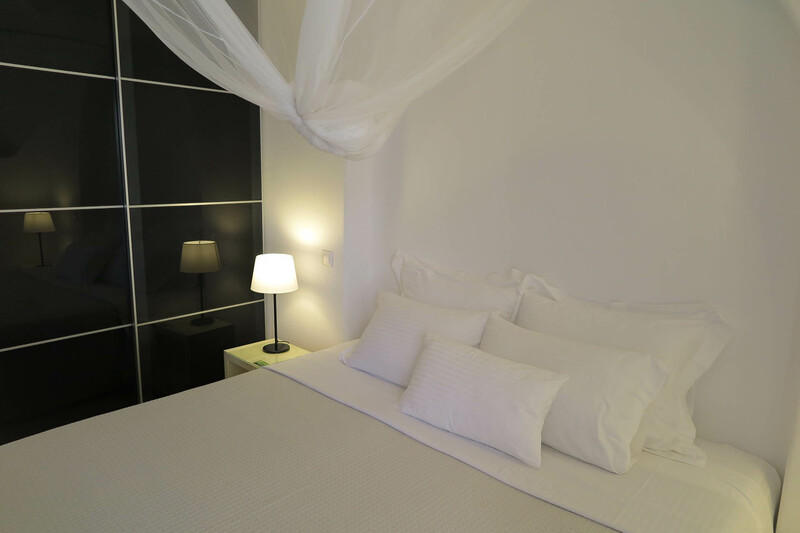 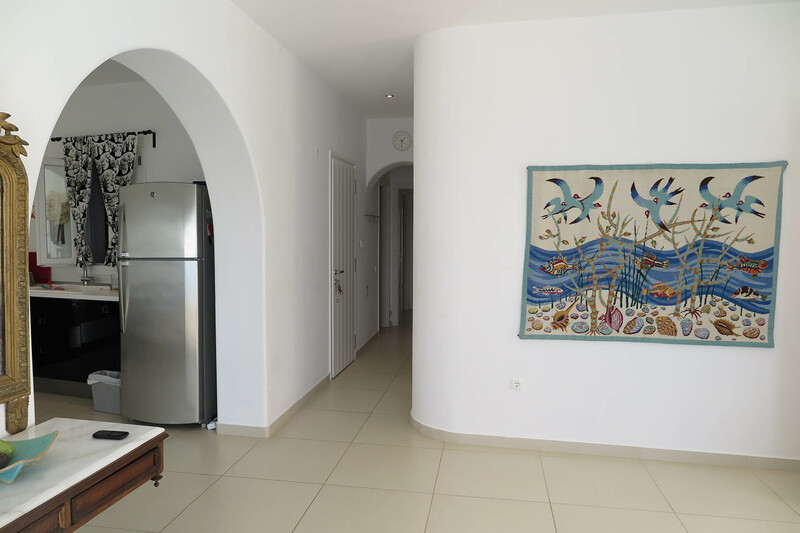 This apartment is for 3 to 5 guests, 110m², located on the ground floor of the building. 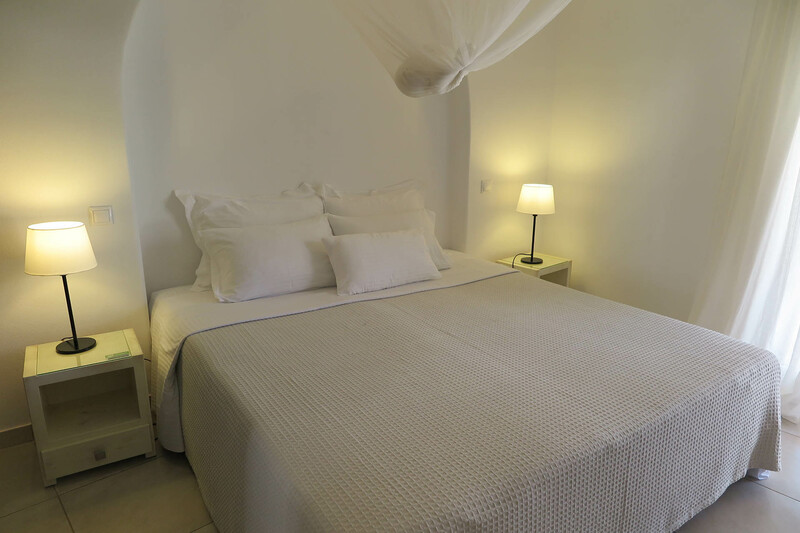 It has 3 bedrooms, two with double bed and one with a single bed. 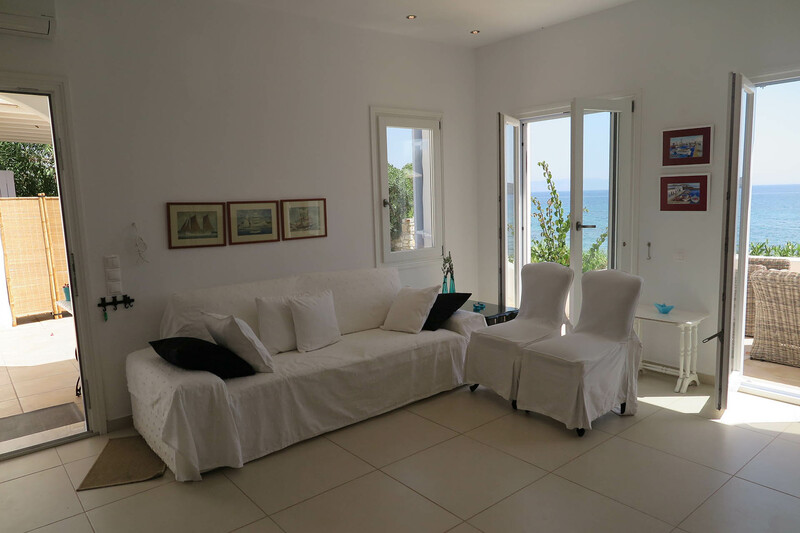 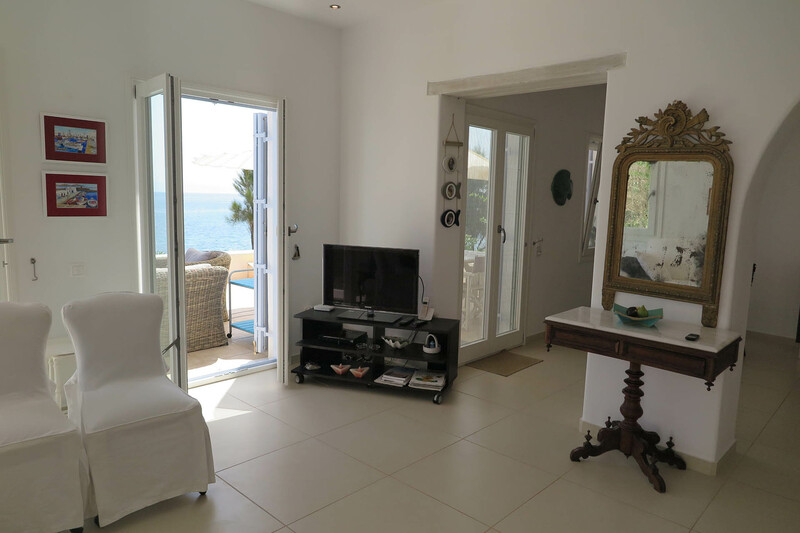 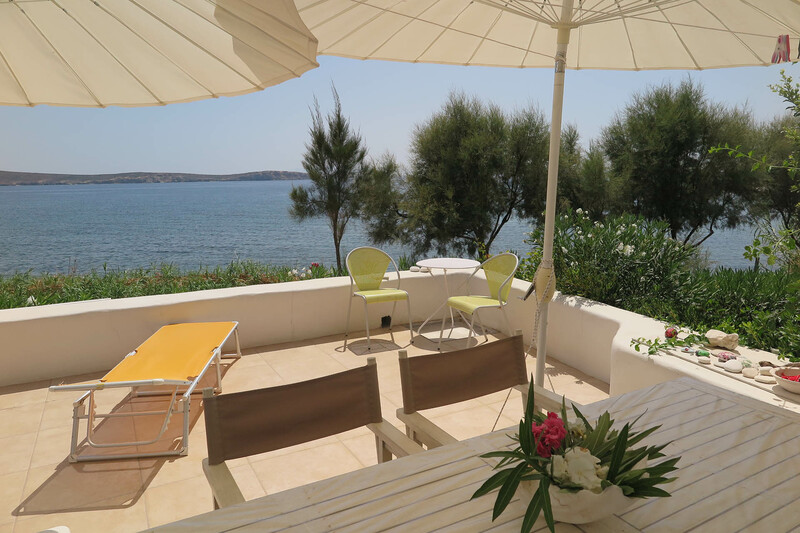 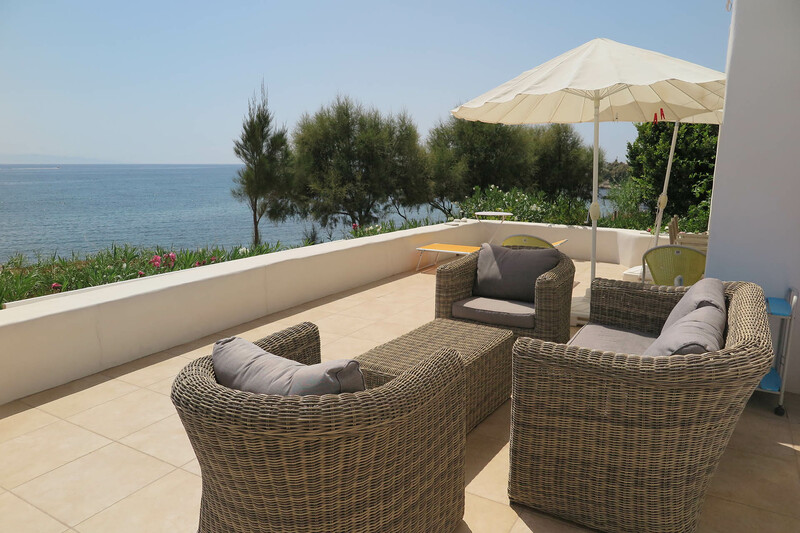 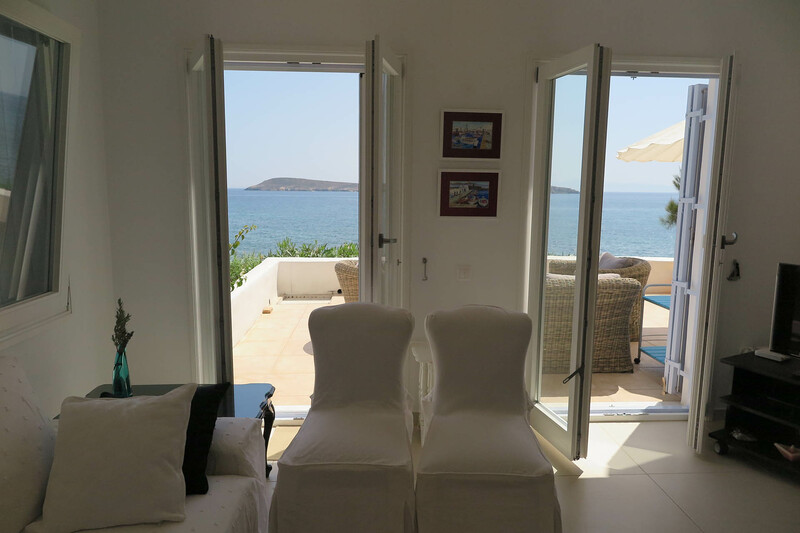 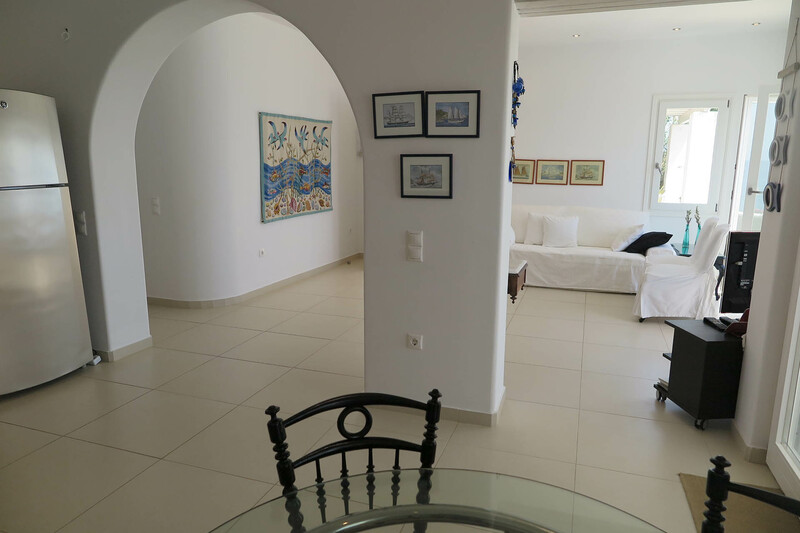 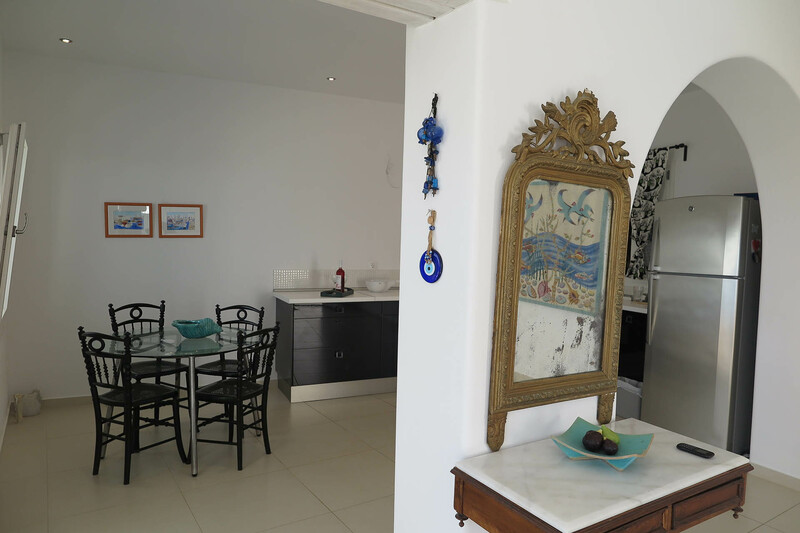 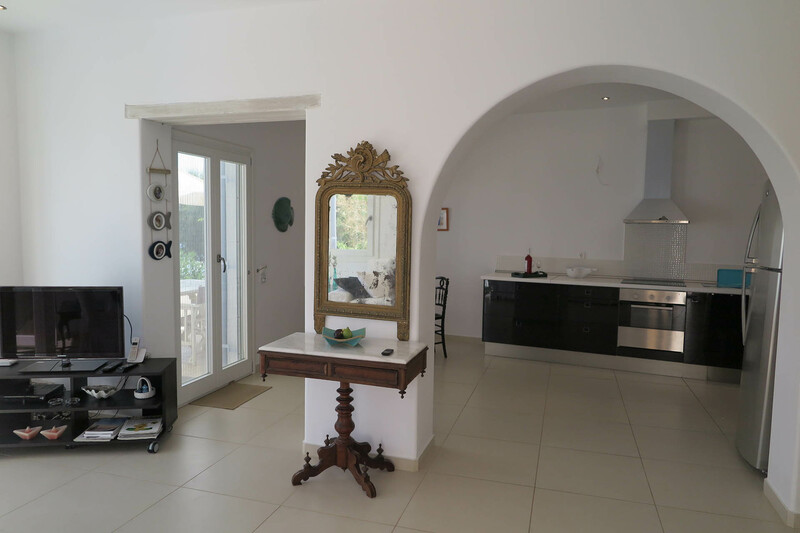 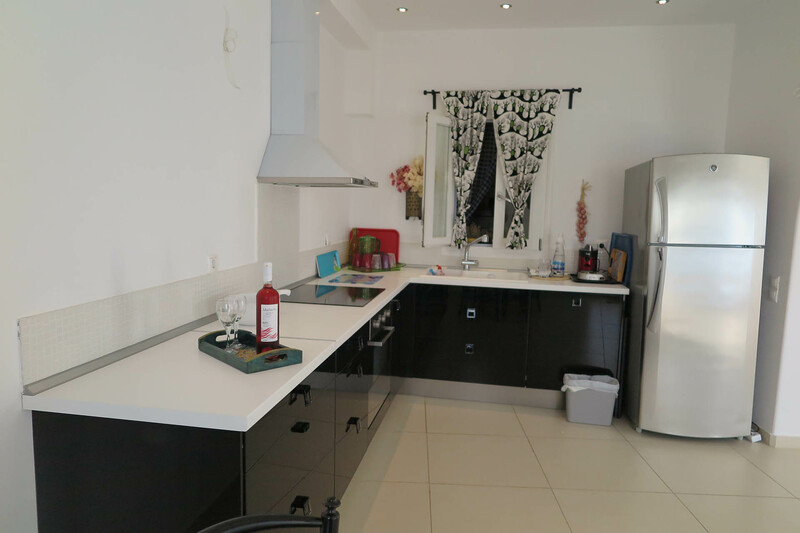 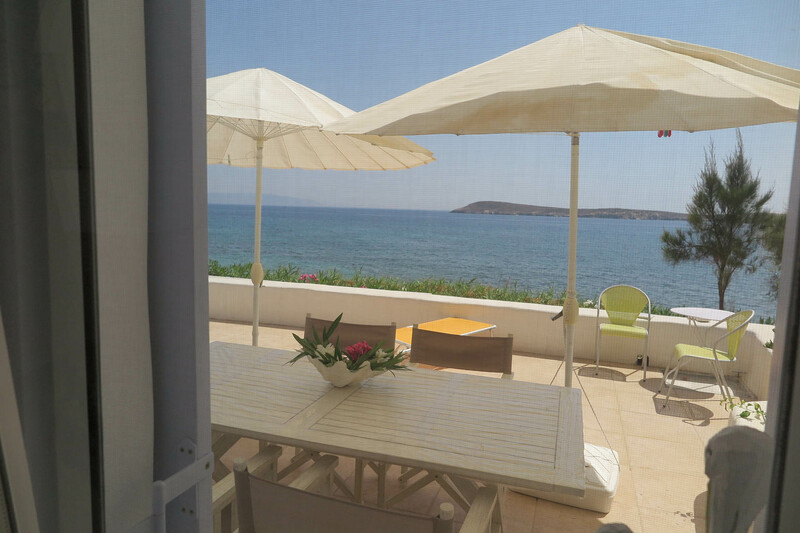 Also a spacious living rooms, full-size kitchen, 3 bathrooms and shaded terraces looking out to the sea.